My 3 girls are no longer toddlers, but I can still remember what they were like during those childhood years. Whatever my little girls see me do, they want to mimic them. This includes things like talking on the phone to pretending to cook or shop. So, any toy that let them pretend, learn and play are perfect for them. They also love to move, sing and dance. Sometimes they like active games and at other times they just want to sit down and tinker with their hands. 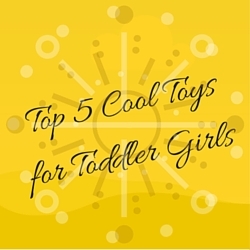 If you have toddler girls that you want to give toy gifts this Christmas season or on any other occasion, here are five cool toys you can buy for them. 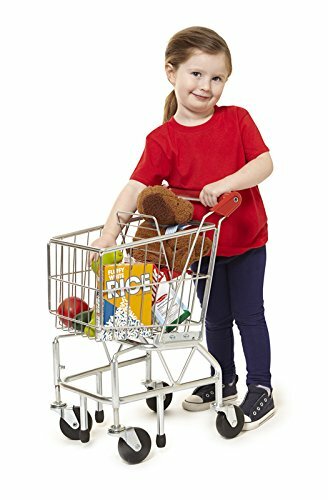 shopping with this sturdy Melissa & Doug metal shopping cart. The Melissa & Doug Shopping Cart is a wonderful toy for a 3-year-old toddler girl. Now, she can pretend shop just like mom and dad. She can go shopping and put her favorite teddy bear or baby doll on the cart's fold down seat. The shopping cart is deep enough to hold plenty of plastic pretend groceries items. It's made of very sturdy metal and has pivoting front wheels that makes it easy to maneuver. The grocery accessories are sold separately. Toddlers have many favorite cartoon characters. They love to snuggle up with the plush versions of these characters. 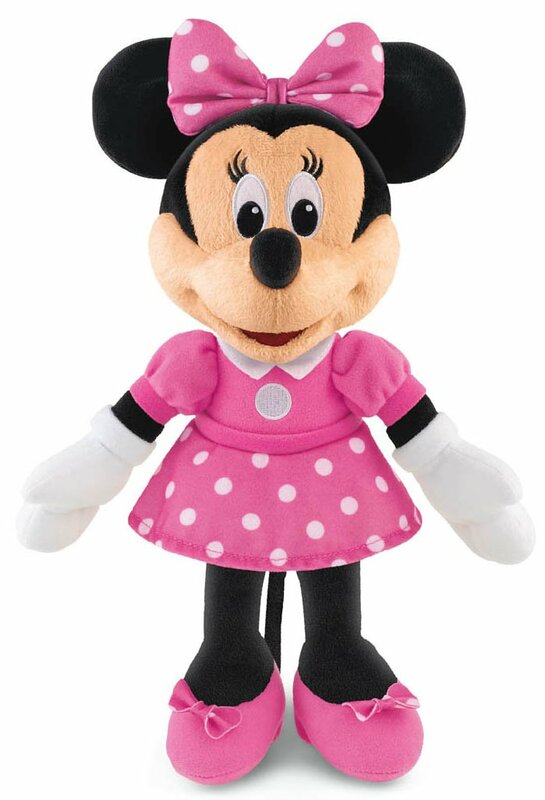 One of these all-time favorites is Disney's Sing & Giggle Minnie. The toy sings the Hot Dog song whenever a child squeezes her body. Squeeze Minnie a second time and she will burst into giggles. This toy is a perfect buddy for your toddler during bedtime as she drifts off to sleep. Let your little girls enjoy using their imagination to stack and build things. Give her a set of wooden blocks that can help bring her imagination to life. The Melissa & Doug 100-Piece Wood Blocks Set, which is a #1 Best Seller on Amazon has one hundred brightly colored real wooden blocks. This set of toy building blocks is an assortment of color and shapes -- squares, rectangles, triangles, cubes, arches and more. 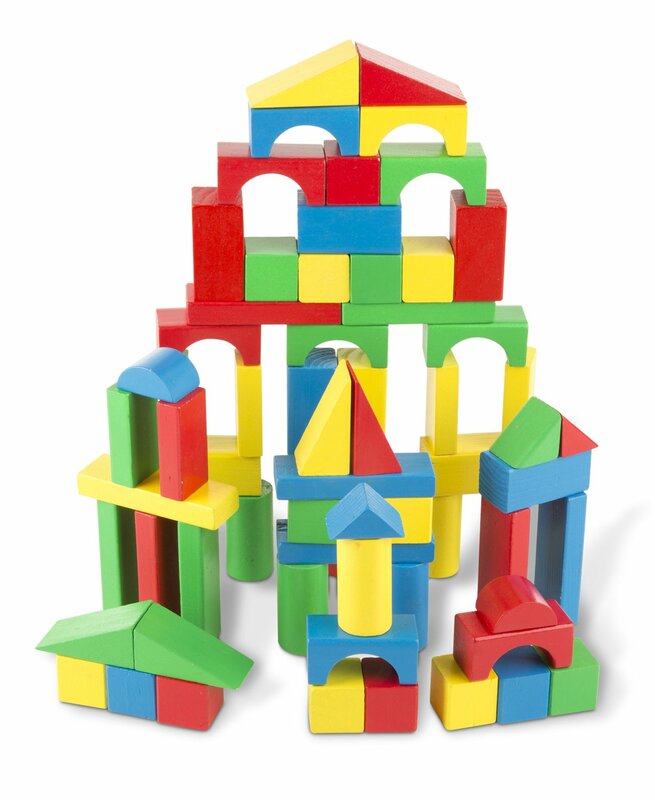 Children can use the blocks to stack and build towers, learn colors and shapes, learn numbers and create a variety of pretend items. It helps to develop their fine motor skills and enhance pre-math skills. The blocks are child-friendly with smooth and round edges and non-toxic coating. Toddlers love to move around and dance. It's also the best time for a child to learn songs, say the ABCs and count 123. 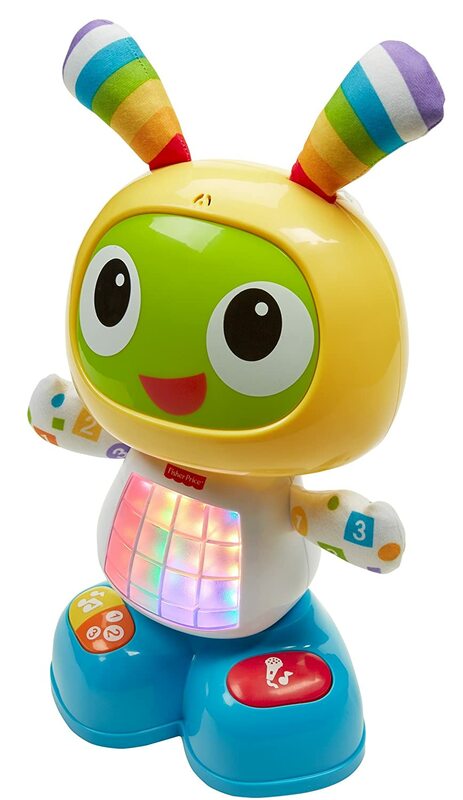 The Fisher-Price Bright Beats Dance & Move BeatBo is an animatronic toy that promotes both physical activity and fun learning. With just a press of the buttons on its tummy or feet will activate the fun songs, dance moves, learning and entertainment. The toy features 3 different modes that activates interactive activities according to your child's interest -- Dance 'n Move, Learning & Games, and Customized Sing-Along. This toy "grows" with your toddler making him a fun, entertaining companion to your child for years to come. Toddlers as young as two can enjoy playing bowling. The #1 Best Seller Melissa & Doug Monster bowling game can help your child with her with hand-eye coordination and build her self-esteem while she's having fun. The 7-piece set with pins and a ball are all made of durable lightweight material. The 4-inch bowling pins and ball are cute, brightly colored monster characters. Toddler girls love rolling the ball and knocking down the pins. Older children can have fun playing the game, too. I am happy to see that you have provided such an incredible and impressive blog for us best infant toddler life jacket.